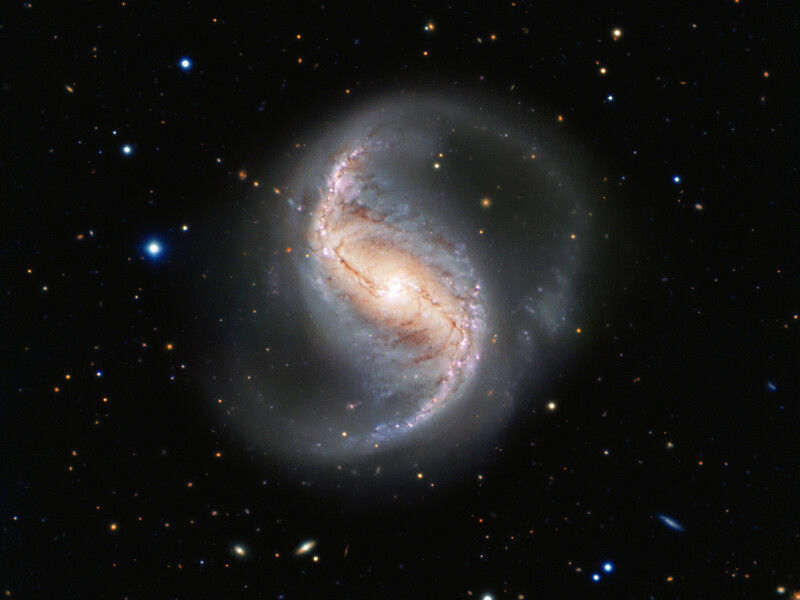 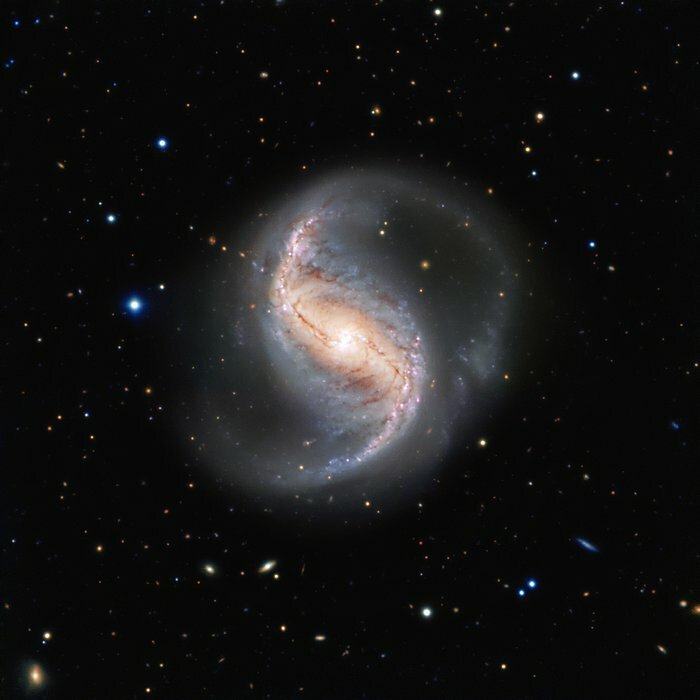 This picture of the week shows the spiral galaxy NGC 986 in the constellation of Fornax (The Furnace). The galaxy, which was discovered in 1826 by the Scottish astronomer James Dunlop, is not often imaged due to its proximity to the famous and rich Fornax Cluster of galaxies. 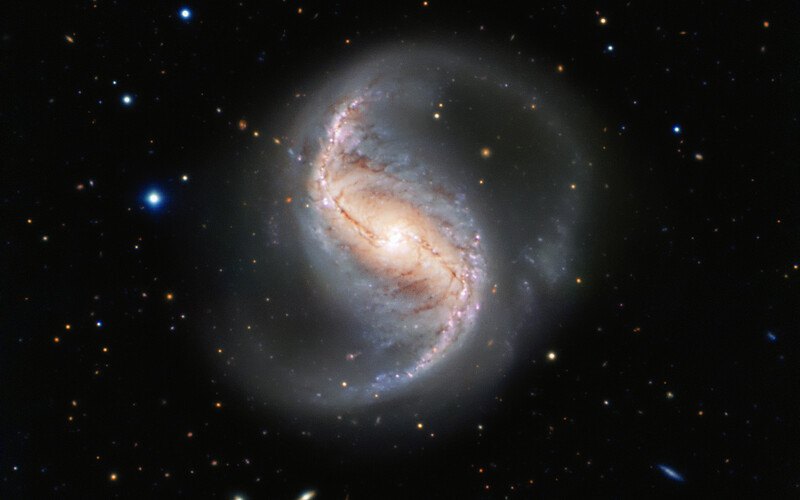 Which is a shame, as this galaxy is not only a great scientific object, but also very pretty.